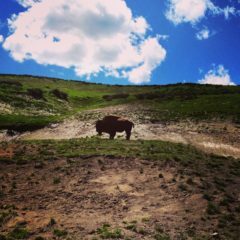 Stay at Yellowstone Cabins and RV and get ready for world class sightseeing! The things to do and see while you’re here are endless. Of course you’ll want to head into the park, it’s just a mile away! Pack a picnic, pack your fishing gear, put on your walking shoes and don’t forget the camera! The park is waiting for you! Spot the animals, experience the museums, hike the trails, explore the geysers and canyon and catch those fish! But it’s not all in the park! 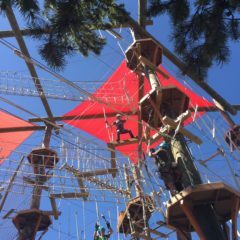 Hang back in town of West Yellowstone for the day and take in the rodeo, learn to zipline, then go see and learn about the live bears and wolves at the Grizzly and Wolf Discovery Center. Afterward you can relax and enjoy a night on the town with dinner, cocktails and a movie or live play. Be sure to reserve a day to enjoy the wonders outside the park and town! Everywhere you turn you’ll see lakes, rivers and trails calling. 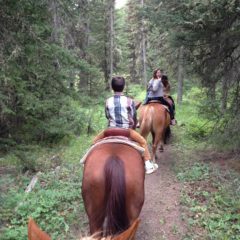 You might want to book a trail ride and experience a beautiful mountain creek from the back of a horse. No doubt you’ll be checking an item off your bucket list when you book a white water rafting adventure that will leave you screaming with delight. Whatever you choose for your sightseeing adventures, you can be sure you’re creating special, one-of-a-kind memories to enjoy for a lifetime.